Oof. The Asylum Ogre 7” x 70. What a behemoth of a cigar. It features a Habano/Candela (Nicaragua) barber pole wrap over Nicaraguan internal components. JLedou sent these in long ago, and we’ve been a bit scared to light them up. Originally planned for a Halloween show, they were delayed until tonight. Let’s see how it goes…. Kretek (y’all might be more familiar with them in the cigar world as Ventura) has bought Foundry Cigar from General (STG). Michael Giannini led the creation of Foundry – you may remember Bob McDuffee chatting them up following the 2012 IPCPR show, as a result of their steampunk themed marketing. I’m not sure the market for Foundry’s product lines persisted after initial periods of launch/promotion (whatever happened with the contraption-based token/ring/fuse/whatevers that were coming originally? ), as the lineup went through some changeups and cancellations around the time Giannini left General in 2016. But, since he is currently the General Manager at Ventura, he is reunited with the line and we’ll see where he takes it. 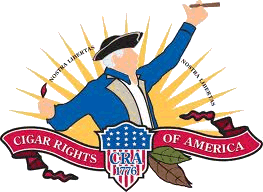 NBC reports that the FDA has begun in earnest to approach an outright ban on menthol cigarettes…and “flavors in cigars.” In comments on the move, Robin Koval (of the Truth Initiative, an anti-smoking group) stated outright his desire that “They need to get rid of all the flavors. They need to ban online sales.” The move is not unexpected, and hasn’t been a secret – but has now progressed into more public view. We’ll see how aggressively this goes through. So. Florida has passed a Constitutional amendment (#9) that prohibits offshore drilling….and indoor vaping….on the same ticket. Go figure. Viaje Stuffed Turkey – What an interesting cigar! Toasty flavors in spades without coming across dry or dead. Smoky flavors that didn’t seem as if the cigar was too “hard”. Richness that didn’t convey heaviness of body. The cellophane on these was nearly Amber where it contacted the cigars. I’m curious if that’s a sign of oil or another outside influence. Truly spectacular, especially considering I had little hope for the cigar. Rattray’s – Black Virginia, in the same vein as my dear Marlin Flake – but perhaps a bit more subtle and less sweet. It had been over a decade since I’d popped a tin. Good stuff, although I still favor Marlin Flake if I had to pick from the Rattray’s lineup. GL Pease – Key Largo. The cigar blend that doesn’t try too hard. My longstanding criticism of cigar leaf in pipe blends is that it is often carried out too heavy-handed. Not so with Key Largo. In fact, the cigar leaf seems to disappear at times for me. While I do enjoy KL, I still assert that if I want a cigar I smoke a cigar – and if I want a pipe, I’ll smoke a pipe. The blend is a pretty straightforward, Oriental/Latakia blend with a nice Virginia “framework”. I find lots of coffee and dark chocolate flavors throughout the bowl. The cigar leaf is kept at what I’d call a condimental level, which means it is there but not in your face. 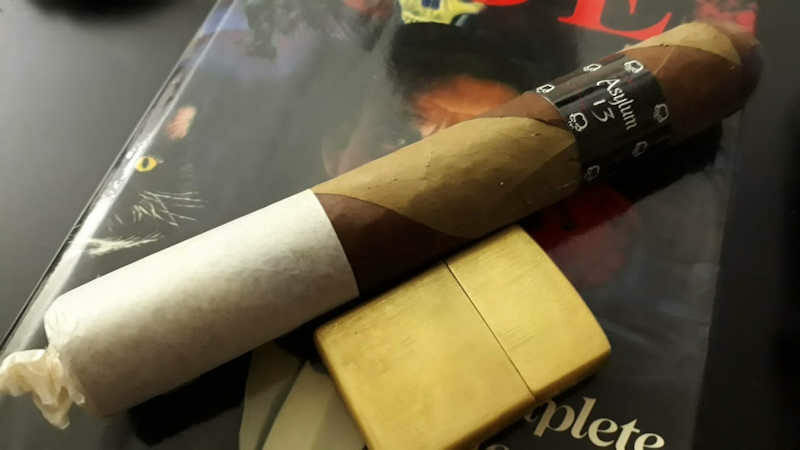 Since the long-forgotten demise of Billiard Room from C&D, and more recently of McClelland’s Dominican Glory, this is probably my favorite blend of this genre. Join us next time for Episode 188, featuring the My Father LE 2010. If you would like to contact us, use any of the methods on the Contact Page. Past episodes are in the Half Ashed Archive. You can download this week’s audio directly in the summary at left, find us on iTunes, or subscribe with any podcast app at our RSS Feed. Raw video is available at the Half Ashed YouTube Channel.